I was thinking about a question I received a few weeks ago at a conference about students that were "reluctant" makers. The student would not engage in the maker process at school or in the classroom when it came to creating projects for class assignments. This person wanted to know how to get these students engaged so they can be more successful. This was an interesting question that really had me thinking long after I answered. I finally feel like I have a more detailed answer. I'm becoming less and less of a fan of the words "reluctant" and "struggling" when it comes to labeling students. Pernille Ripp wrote an amazing post on the idea of "struggling readers" that is worth reading and it has stayed with me. Mostly because I know I was labeled struggling because of my dyslexia and that never helped me with my reading. I also look at the term "reluctant" and am starting to see the same thing that the term "struggling" does. It provides a label without truly doing anything to support the student. It is so easy to label and throw up the hands. Getting to the root of the problem is much more difficult, but is needed if we want students to be successful. When it comes to making, and reading for that matter, you have to want to do it to be engaged. If a student is reluctant to make in class or school, maybe it is because they do not have anything they want to make. Maybe they do not have the tools they need or the assignment is very limiting in what they can create. Maybe the school or classroom definition of making is too narrow. There are so many reasons why a student will not want to make something, the only way to figure it out is to ask. For teachers though, we do not want to think it has anything to do with the assignment we have created or the parameters around the assignment. As teachers, we need to be ok listening to students and finding out what is and is not working about our assignments. If you are a teacher that is moving more into Project Based Learning, it is very important to listen to students and use that feedback to make the assignments more dynamic and flexible for all of the students, not just the ones with the access to the resources the project required. Another thing to consider is the culture in which the student is being asked to make. Is it supportive of risk-taking when it comes to making? Does the student feel comfortable truly expressing what they think or know through the creation of something that will be shared with the class? A makerspace is just a space. The culture around the space that allows for students and teachers to get the most out of it is a Maker Mentality. If a student does not feel comfortable to make and share what they truly feel, they will be a "reluctant maker". While there are plenty of examples of students who just don't want to engage no matter how many interventions take place, it is always important to look inward to see if problem solving can start there. For Makerspaces, it is so important to have conversations with students to see what they are interested in doing in the space before spending the money on tools that might have no use to a majority of students. 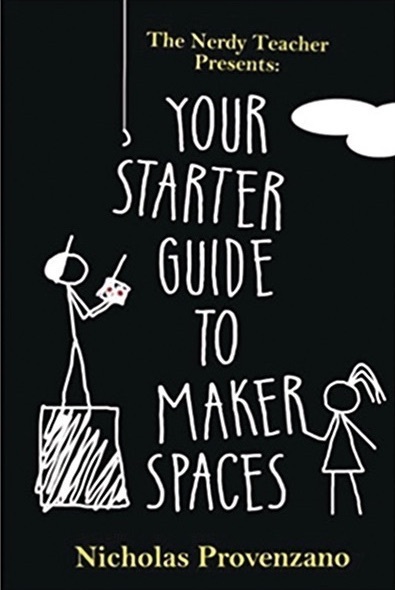 The Makerspace should bend to the will of the students and teachers that will be using the space to make all the things their creative minds can imagine. If the tools people need are there, there will be more engaged users. If there are "reluctant" makers, it probably has more to do with the assignments or the tools they have access to at home or in the Makerspace.